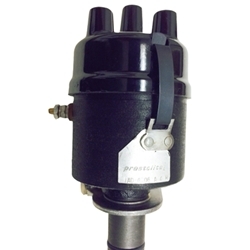 Prestolite Distributor Assembly Late Contract Dustproof. We have a limited number of these NOS late contract units avail. Rare opportunity to get an NOS distr for your jeep. Most jeeps have very worn out distr which cause bad idle and poor running conditions.